It’s that time of the year again where everyone is a little jollier, the city is beautifully decorated, and Christmas Markets charm you with a smell of a cinnamon and hot wine. Barcelona’s lovely Christmas Markets are scattered around the old town, but more specifically we recommend one of the most traditional ones, “La Fira de Santa Llúcia”. The oldest and largest Christmas Market takes place at Avenida de la Catedral, in front of Barcelona’s Cathedral in the Gothic quarter, daily from 10:30 to 22:30. They hold special events and workshops as we’re getting closer to Christmas, but it’s worth visiting even without them. Wander around the stalls selling seasonal accessories including mistletoe, tree decorations, and small gifts. Wear a warm jacket, some gloves and feel like you are in the Christmas movie. Tired of bars and clubs? But still, don’t want to give up drinking? Why don’t you make your drinking sessions a bit more creative and meaningful? Arte Bar offers painting parties, where zero-experience is required. 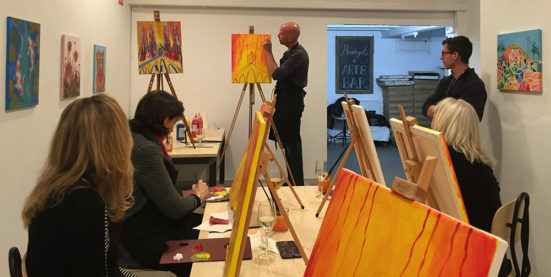 With an art instructor by your side, you’ll get the chance to create your own painting step-by-step and also have some drinks such as wine or beer for 1 € each. The ticket costs 28 € and includes 3 hours of instructions, all supplies, canvas, and snacks. The astonishing aftermath effect of all these that you get inspired and start seeing a world from the new perspective. The address is Carrer de Roger de Flor, 135. Hurry up, this unique trendy night out takes place until November, 30. Since it’s getting really cold and it is high time to start visiting museums, save the date on December, 2. Book your ticket at the Tiquet Rambles offices in the Palau de la Virreina (La Rambla, 99), from Monday to Sunday, 10 am to 8.30 pm. 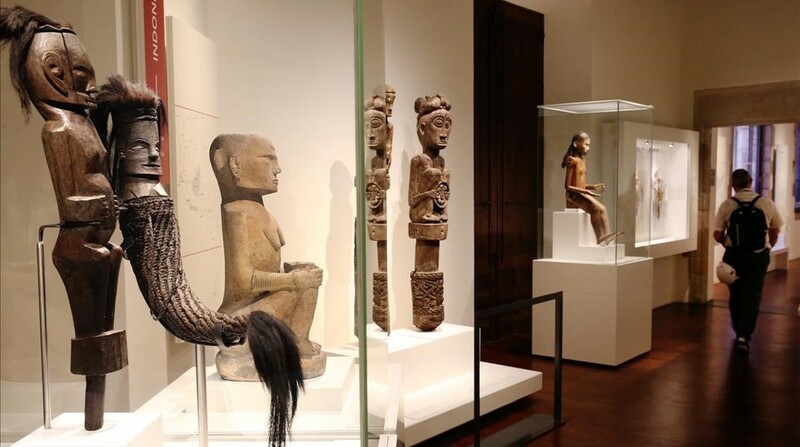 The number of tickets is limited, so if you are not lucky this time, be ready for the next free museum crawl is in February. 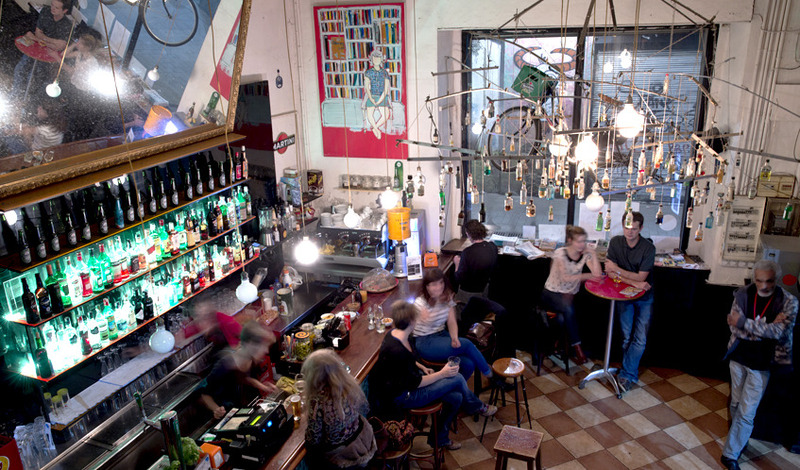 The good, the bad and the ugly… In contradicting Raval district, you will find it all: bohemian bars, hip design shops, street art and edgy exhibitions. How familiar are you with the Korean Music and more specifically the traditional genre? Not so much probably. You will have a chance now. The Museu de la Música de Barcelona invites us to discover the fascinating Korean sounds at the unique event they’re hosting. The Korean traditional music is ancient and rich in repertoire and instruments, but much more unknown than neighboring civilizations like the Japanese or the Chinese. So, the new exhibition ‘Eolssigu! The sounds of Korea’ will introduce us to the exciting heritage of musical expression of this country. Visitors will also get the chance to use some of the instruments on display and learn to play them in workshops. Check out the schedule: Tuesday, Wednesday, and Friday from 10:00 to 18:00, Thursday until 21:00 and during the weekend until 19:00. The general admission is 6 €, but if you are 16-29, you pay only 4,5 €. The address is Carrer de Lepant, 150.